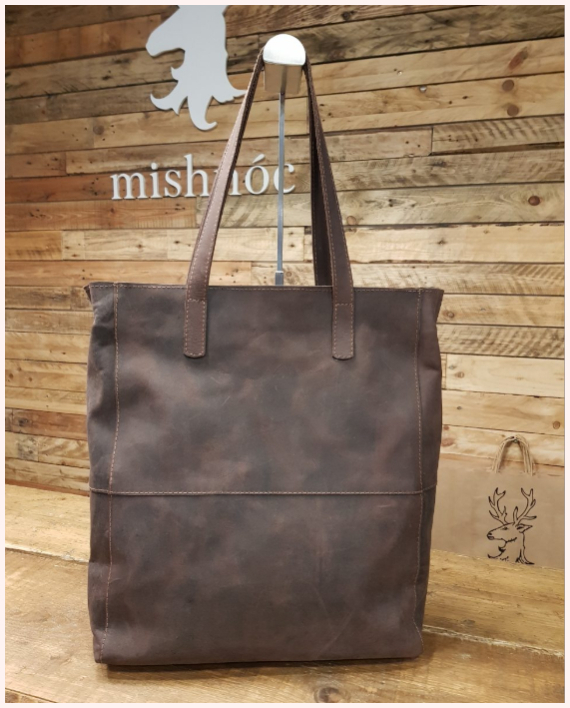 Handcrafted in Spain the “Banshí” bag collection is designed by mishnóc here in the west of Ireland. 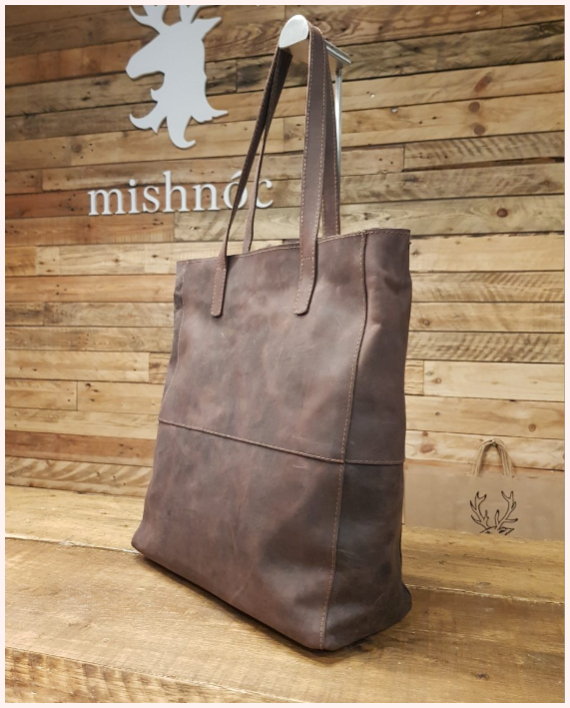 This “Morrigan” leather tote is manufactured using a oiled brown vintage leather. Secured at the top by zip closure inside it is lined with a dove grey fabric featuring the “Banshí” logo. 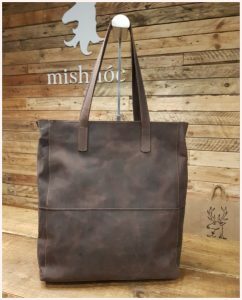 There is a smart phone slip pocket and a zipped pocket measuring 17cm x 12cm.